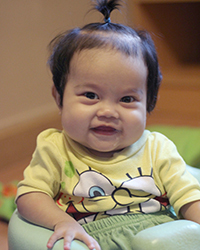 Maggie was the first child that came into the care of New Day Foster Home and had a liver transplant in her first 24 hours with us! 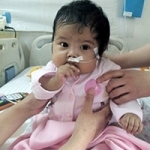 Almost-one-year-old Maggie had been in the care of another foster home in Beijing, but they were not able to pay for the liver transplant that she would need so they asked us if we would be able to help. Initially we did not have a bed available for her to come straight to New Day Foster Home, but we went ahead and had her name put on the waiting list for a liver. On the morning of Monday the 11th of May, we got the call that a liver had become available for Maggie. It sounded like a perfect match for her, so we quickly headed to the hospital to meet with the doctor AND to meet Maggie for the first time. Maggie was still in the care of the other foster home when we got the call, so we let them know the news and they rushed her to the hospital. Maggie spent the day being rushed all around the hospital for tests and scans to see if the transplant was going to be possible. She was so sweet and brave, and quickly won our hearts in those hours before she went in for surgery. 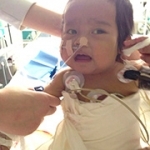 At 5 PM we signed the surgery papers, and handed Maggie into the arms of the surgeon, having been warned that the surgery was quite risky and could take over 12 hours. The waiting began. Just after 2 AM we got word that Maggie’s new liver was in, and they were starting to close her up. 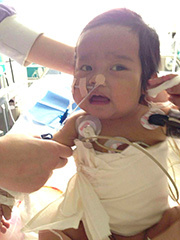 At 2:45 we caught a glimpse of her being transferred from the operating room to the ICU. 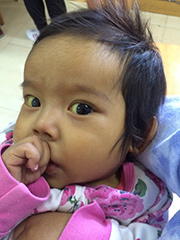 The doctor said that the surgery had gone well, and just six hours later we got another update; Maggie was awake. 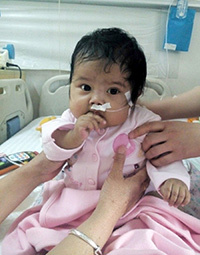 By Tuesday morning she was off the ventilator and breathing on her own. We were amazed by the speed of her recovery! On Thursday she was able to move out of ICU and onto the regular ward, which meant that one of our nannies could be with her. We are just in awe of the miracle that has happened in Maggie’s life. 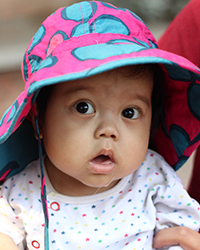 She still has a fairly long road to full recovery, but we know that now she has a bright, hope-filled future, and we are privileged to walk this part of the road with her. Her new liver came from a 7 month old baby. We don’t know much else about Maggie’s donor, but we are so thankful for the family that decided to provide hope to others, even in the midst of their loss and grief. It’s truly beauty from ashes, and Maggie’s life is going to be beautiful.